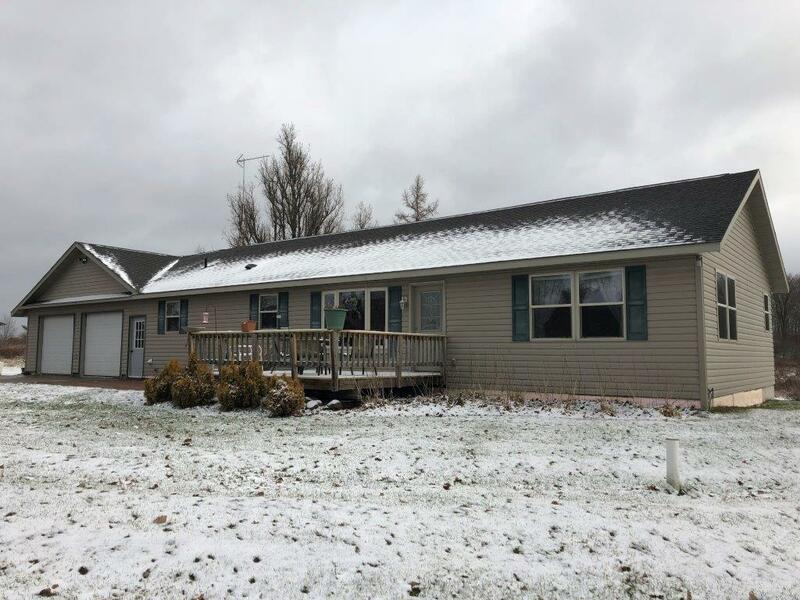 Set up a showing today to see a lovely Chetek Lake home with a large entryway, a family room with a vaulted wood ceiling and high efficiency wood burning fireplace. There is a formal dining room and a living room that has a fantastic view of the lake. The kitchen has new appliances and there is new carpet throughout the house. The walk-out lower level has a full bath, 2 bedrooms, laundry room, and a recreation room. Take advantage of the lakeside deck, patio, fish pond, and fire pit. Across the road is a wooded area for privacy and wildlife. Bring your family and friends and enjoy all the entertainment that the Chetek Chain of Lakes has to offer! A short drive through the rolling hills of the lakes area of Birchwood will bring you home to this roomy ranch on 20 beautiful acres. Enjoy the sunrise from your backyard deck overlooking the forest and meadow teaming with a variety of wildlife. Deer or turkey hunt right in your backyard! Ride your ATV on the numerous nearby trails or store it in the 36 X 54 pole building with a warm space for your shop. This home features a master bed and bath, main floor laundry, roomy bakers kitchen and much more. This home has something for the entire family. Seller will replace carpet and finish deck railing prior to closing. This property is two wooded parcels which has Moose Ear Creek running through it. The creek is a natural reproducing trout stream. This property has beautiful views of the Blue Hills for some great building sites. There is a mixture of pine, softwoods and hardwood here. This property also has a nice pond on it's border for wildlife. Great hunting or trout fishing property! It’s all about location! This bi-level home is located close to town within walking distance to Narrows Park, a public park on beautiful Rice Lake! A private backyard deck leads to a spacious yard for your outdoor pleasure. Numerous updates include flooring, siding, roof, windows, a tank-less water heater, well pump and some wiring. Both baths have been remodeled with a tile shower in the upper bath. Very clean, move – in ready, this home could close quickly. Seller is selling “as is”. Wood-stove was not used by owner. This high profile commercial site is situated in a Prime Development area on busy West Avenue with easy access and visibility to Hwy 53. This lot is near the new Marshfield Clinic and Lakeview Hospital making this the prime location for your business. Building, Site and Operation Plan has been previously approved by the Rice Lake Planning Commission. Subsurface Exploration, Project Plan and Profile information also available upon request. There’s more to life than square footage! If you are looking for an “Up North” cabin or just yearning to downsize, this home is the answer! Save on your energy bills with this newly constructed home. This home is equipped with a storm shelter for your safety. Generous loft space gives you plenty of room to finish into additional bedrooms or bonus room! Situated near the golf course, close to town and the numerous lakes in the area, this would be the perfect get away or year round home. Great investment with this upper and lower Duplex with roomy living areas in the village of Weyerhaeuser. One bedroom, one bath each unit with a laundry area on both levels. Tenants rights apply. Do you want a beautiful, wooded, secluded lot near Birchwood? This 6.32 acre lot with 434 feet of frontage on a small lake is the perfect place to build a cabin or park your RV. New gravel driveway added. There is electric at the lot line, and you have direct access to the area's best ATV & snowmobile trails. You will also be close to county forest land & Big Chetac public boat landing. Great area to hunt, fish, and enjoy wildlife. 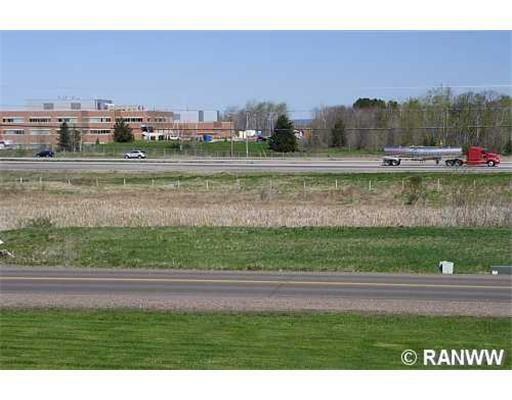 This is a nice level lot for easy construction just outside the city of Rice Lake. Situated on a dead end street, this lot has an 18 x 28 garage already constructed for an extra value. Mature trees on the border give great privacy. Great location so close to town and the lake! The data relating to real estate for sale on this web site comes in part from the Internet Data Exchange program of the NW WI MLS, Central Wisconsin MLS, or MetroMLS, Inc. Information is supplied by seller and other third parties and has not been verified. Real estate listings held by brokerage firms other than Coldwell Banker Brenizer, Realtors® are marked with the NW WI MLS icon. The information, provided by seller, listing broker and other parties, may not have been verified. Copyright ©2007 Multiple Listing Service, Inc.